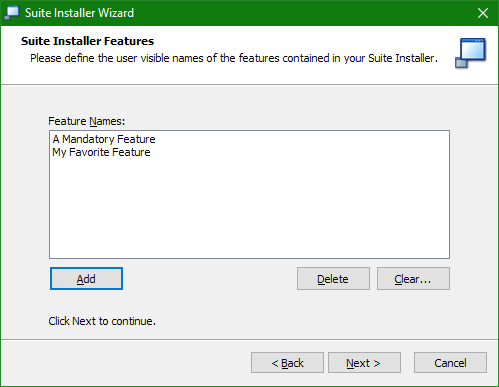 InstallAware now includes a brand-new Suite Installer Wizard, which creates a ready-to-build setup project merging as many third party setups as you would like into a single consolidated installer. Each merged setup is assigned its own individually selectable feature. 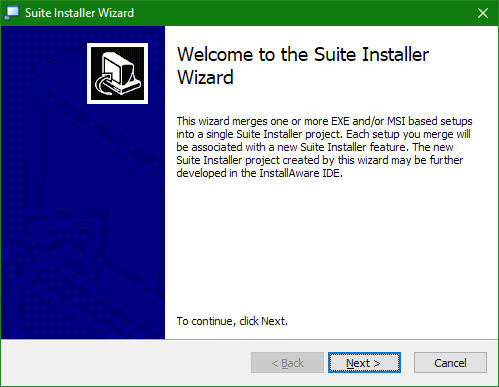 The remainder of the Suite Installer Wizard flows like the Application Runtime Wizard, helping you define in great precision the details of the setups you are merging. When you're done, you may build your suite installation as a web deployed setup, or as a giant monolithic package - all from a single, easily maintained source.